As a local business, we pride ourselves on giving back. From supporting our fearless Foxes with an homage to their ground-breaking Premiership win (see Richard Wilson’s work or, even better, take a trip to the shop to see it in the flesh) to donating money to local sports clubs, we think there’s no worthier investment than our community. The first of many donations has been pledged to the historic Kirby Muxloe Cricket Club. Having been active since 1928, it’s an integral part of local social life for many and we wanted to make a real difference. Continuous improvement to their facilities, from upgrading equipment to enriching the grounds themselves, has helped them to achieve a ranking of 7th best club in the county (out of a phenomenal 122) – something the groundsmen and everyone associated with the club, ourselves included, are extremely proud of. Our charity has also helped to keep their Junior set-up running strong. This is, perhaps, the most important aspect of our giving and certainly the most heartfelt; Kirby Muxloe CC stretches back through generations of cricketers and to lose that family value due to lack of facilities would be a travesty. We’re very excited to be a part of both inspiring and retaining their Junior players. As part of the continuing improvement process, the club is considering funding coaching courses for additional staff to further accommodate and encourage rising young talent. They’re also looking to develop a bursary scheme for Junior cricketers that are selected for the prestigious Leicestershire County Cricket Club, helping to boost those that may struggle with affording premium equipment or training to create a fair opportunity for gifted players – isn’t that what charity is all about? After speaking to the club via email to find out their plans going forward, they’ve once again prioritised the younger players. They propose to upgrade their existing (sadly aging) practice nets to something modern, safer and more accessible by next season. They also aim to welcome in the wider local community through their improvements, always striving to nurture home-grown talent, sportsmanship, and love of the club itself. 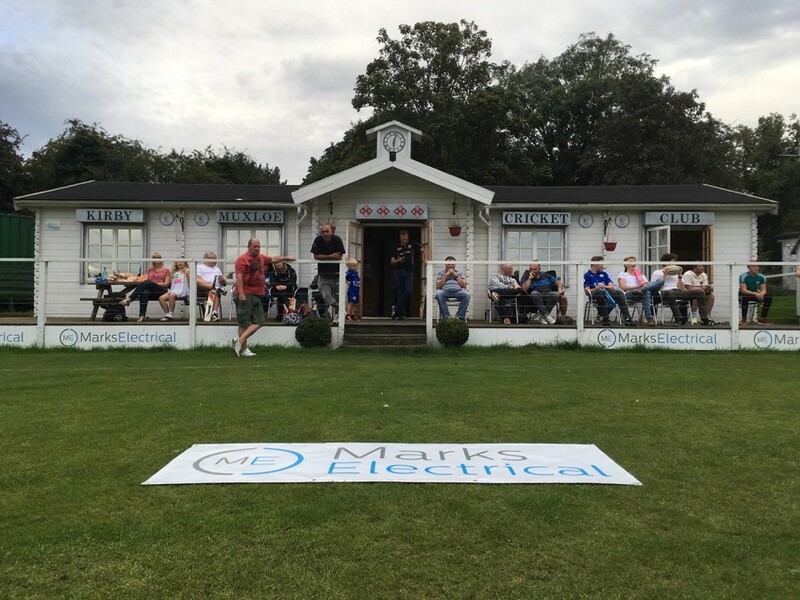 We’re honoured to now have our logo on the team kit and scoreboard – a gesture of gratitude from the Kirby Muxloe Cricket Club for our help – and we’ll be following their story as they improve and expand. We’re currently searching for our next charitable opportunity and would love to hear from any local clubs or causes – after all, the best thing about business is being able to give back.